In what could seal the fortunes of the gas and power businesses of the two Ambani brothers, the Supreme Court is to deliver a judgment today on the bitterly fought dispute over gas from the Krishna-Godavari basin's D6 block. The judgment would also set a course for the gas market, impacting government revenue and the power and fertiliser companies consuming the gas. A three-judge bench headed by Chief Justice K G Balakrishnan, whose tenure ends on May 11, had reserved its judgement in the lawsuit after arguments concluded on December 18. The apex court heard the case for 26 days spread over nine weeks, beginning October 20 last year. Mukesh Ambani's Reliance Industries Limited agreed to sell Anil Ambani's Reliance Natural Resources Limited 80 mmscmd of gas from the Krishna-Godavari Basin for 17 years at $2.34 per mmbtu - for its Dadri power plant. With RIL not supplying the gas, RNRL went to court against it for not implementing this part of a family MoU signed when the empire was being carved up between the two brothers. The Bombay high court ruled in June that RIL should supply gas to RNRL at nearly half the price it had set in an interim order in January. With the government reacting strongly against the warring brothers' stance over a national resource, it is now left to the Supreme Court to decide the future course of action. Image: Mukesh Ambani (R) and Anil Ambani. The raging dispute between the brothers revolves around the Ambani family pact under which the gigantic Reliance empire was split and to what extent can this family agreement can decide the price of gas. 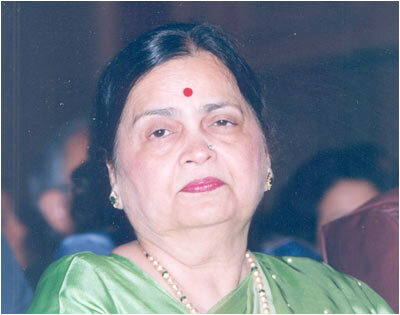 The Reliance group was divided with Kokilaben Ambani, mother of the warring Ambani brothers, presiding over the division. Further complicating the issue is the fact that the government has claimed a share in the gas pie. A few years ago, gas fields in the Krishna-Godavari basin off the coast of Andhra Pradesh, were won by Mukesh Ambani-led Reliance Industries when it bid for areas offered under New Exploration Licensing Policy (NELP). These gas finds are one of the biggest discoveries in Asia. Although Mukesh Ambani won the contract for the gas fields, Anil who has ambitious mega power plants lined up wants a part of this gas at a lower rate, in line with the family agreement. RIL was guaranteed free market regime when it bid for these gas fields, and thus the RIL argument is that any attempt to regulate prices would be against the contract. Since the time the family pact was drawn, hydrocarbon prices have skyrocketed and thus the price at which Anil Ambani wants gas from RIL has become a major bone of contention. Even the petroleum ministry frowned at the rate of $2.34 per million Btu at which Anil Ambani wants gas for a period of 17 years. Earlier, the government had set up a committee to derive the price at which gas from the KG Basin could be given to the Anil Ambani group. The committee, led by Finance Minister Pranab Mukherjee came up with the figure of $4.21 per unit. Reliance, meanwhile, has refused to supply gas at a lower price. The Mukesh Ambani-led petrochemicals giant said that the company is ready to supply the gas to RNRL at the government-approved price of $4.21 per mBtu. 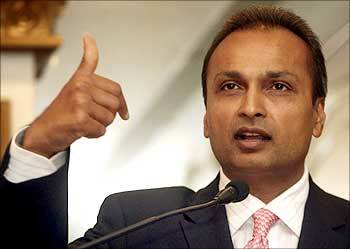 The Bombay high court had in June asked Mukesh and Anil Ambani to reach an agreement by renegotiating conditions. The court also said they may seek their mother, Kokilaben Ambani's, help in this matter. The high court passed an order in favour of Anil Ambani-led RNRL and directed RIL to supply 28 million units to Reliance Natural Resources for 17 years at $2.34 per unit, after assigning 12 million units to the National Thermal Power Corporation. 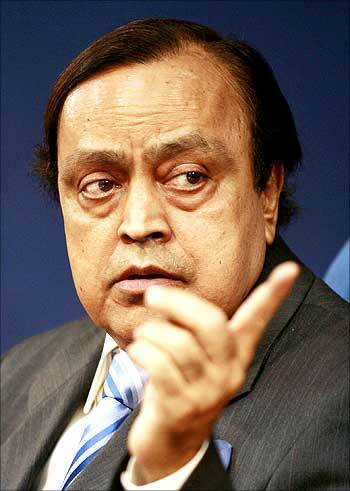 Image: Mukesh Ambani, chairman of Reliance Industries. 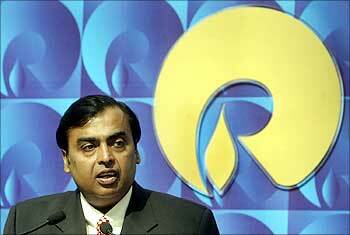 Unhappy with the court ruling, RIL moved the Supreme Court against the Bombay high court order. If the deal does not work out, RNRL will have to shell out more money for its gas requirements for its power plants. Reliance will be hit as it will be forced to sell at least 35 per cent of its natural gas production according to the memorandum of understanding, if it offers gas at a rate lower than the $4.21 rate set by the government. However, the royalty payable to the government on 35 per cent of the total gas produced will have to be paid at the higher rate of $4.21. Image: Anil Ambani, chairman of Anil Dhirubhai Ambani group. Where does the petroleum ministry come in? RIL got the right to look for gas in the KG Basin after signing a Production Sharing Contract with the government. In the PSC, the government gets a share of RIL's KG profits. Since profits are related to the price, the government says it has the right to vet each contract RIL signs to sell gas. The ministry used this to reject the RIL-RNRL contract, saying it was not an arms-length one. Petroleum Minister Murli Deora hit out at the Ambanis for fighting over a natural resource that belongs to the government and the people of the country. "I am appalled and disgusted at how these two brothers are fighting over something that belongs to the government and the people of India," Deora said, adding, "It does not belong to them." 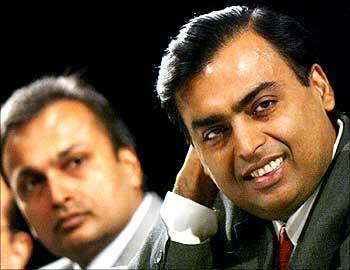 The petroleum ministry said that the Ambani family pact be declared null and void. The ministry told the Supreme Court that the Indian government had the sovereign ownership over natural gas and its distribution, and RIL was just a contractor on behalf of the government. The ministry also stated that the family agreement between the Ambanis could not be binding upon the government. Petroleum Minister Murli Deora asserted that the KG basin gas belongs to the government and not to either of the Ambani brothers, Mukesh and Anil, who have taken the battle to court. Anil Ambani accused the oil ministry of doing a volte-face on gas pricing, saying its stand in the Supreme Court was in total variance with what it had said in Parliament. Stung by the turn of events and to seek protection against what he called the overt and covert attempts and 'partisan and biased approach' of the petroleum ministry to intervene in a commercial dispute with RIL, Anil Ambani wrote to Prime Minister Manmohan Singh offering to meet and explain the issues. Reliance started producing gas from the KG basin in early April and expects to produce up to 40 million metric standard cubic metres per day (mmscmd) of gas by July end and then scale it up to 80 mmscmd by the end of the year. From this production, the government has allocated 15 mmscmd for fertiliser companies and 18 mmscmd of natural gas for the power sector. RIL has signed gas sale pacts with 12 urea manufacturers and other power utilities. All the contracts were signed with on the condition that they would be subject to the high court's final order. The court asked RNRL and RIL, to respond to the plea of private power companies. The Bombay High Court ruling upholding allocation of gas to RNRL as per the MoU would hit these companies. Power companies say that gas supply from KG-D6 fields would be affected if the fuel is offered to Reliance Natural Resources Ltd at cheaper rates. GMR Group, Torrent Power and GVK Industries have complained of unfair pricing. 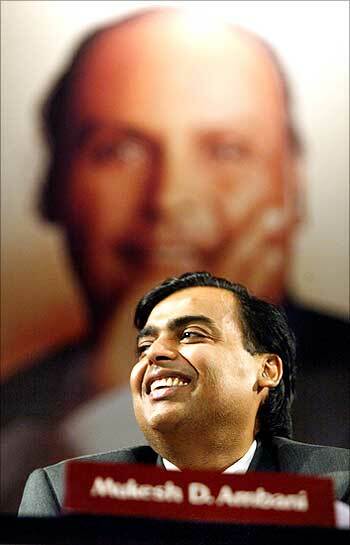 Image: Mukesh Ambani, Chairman, Reliance Industries.